Using the example of its successful HEAVY and JAZZ plastic case series, the manufacturer W.AG will focus on the customer-specific and product-specific customization of its design cases using In-Mould-Labelling at this year’s FachPack. In this innovative multicolour printing process, the outer visible surfaces of the case housings receive a brilliant, colour-intensive and scratch-resistant imprint directly in the injection moulding machine. Geisa, September 2018. – In the meantime, W.AG can visually refine almost all design case series of its large portfolio with the in-mould labelling (IML) photo printing process. Among other things, the renowned manufacturer made this possible through regular investments in modern injection moulding systems, which have special handling systems with which in-mould labelling can be carried out in a process-integrated manner. “Just a few days ago, we once again expanded our in-house expertise in this area by commissioning a new IML-capable injection moulding machine with a clamping force of 300 tons. This will certainly not be our last investment in in-mould labelling, “assures W.AG Managing Director Konrad Goldbach. At this year’s FachPack in Nuremberg, the company will be demonstrating at its stand 310 in hall 7, based on its successful case series JAZZ and HEAVY, the high-quality results of which can be achieved with the IML process. 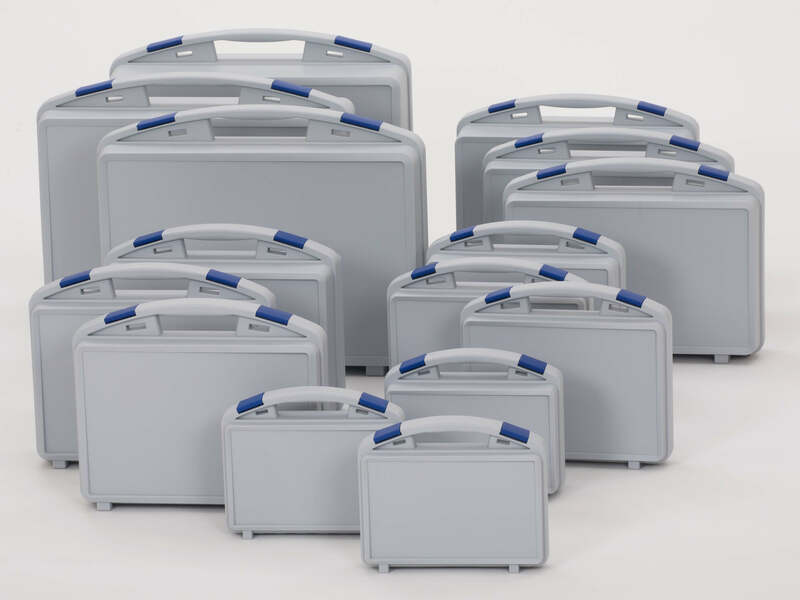 While the JAZZ series of plastic cases are highly functional all-rounders, the robust HEAVY models are designed for heavy-duty and logistics applications. The techno design of the JAZZ, which is available in 15 sizes, is geared primarily to the requirements of manufacturers of high-tech products – such as medical, laboratory and measuring technology. On the other hand, the HEAVY double-walled sandwich construction is designed for maximum stability. 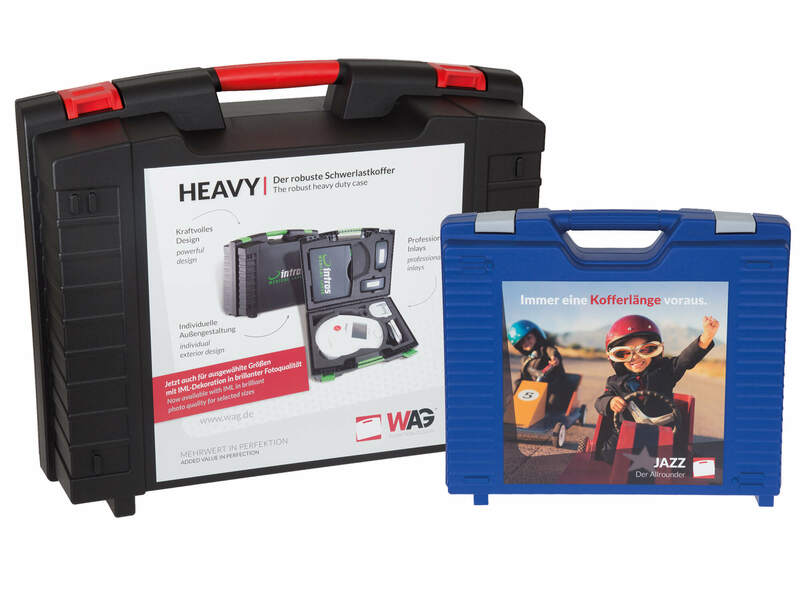 This case, which is currently available in 13 sizes, is designed for the safe transport and handling of large, heavy products (power tools, control units, etc.). Its hinges and closures are particularly strong and double-sided dowel cams ensure non-slip stacking. 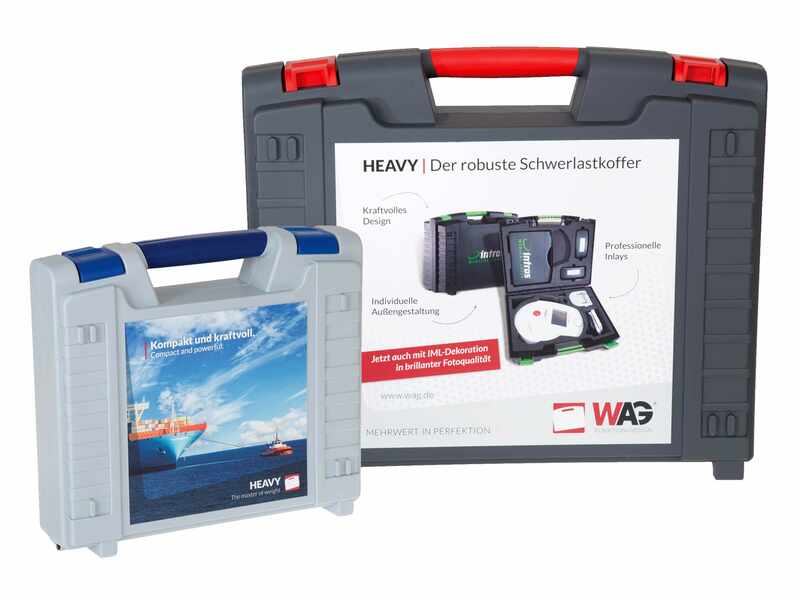 Apart from the choice of formats, the many realizable colour combinations and the wide range of custom inlay customization options both plastic cases can be adapted to your application through a wide range of accessories. “For the JAZZ, for example, we offer intermediate plates that can be used to optimize assembly, and many HEAVY models also have a matching trolley,” explains Konrad Goldbach. Regarding the product-, sector- and customer-specific customization of W.AG’s design cases, in-mould labelling (IML) is playing an increasingly important role. With the JAZZ, thanks to the corresponding machinery, the company can now refine the entire series with this innovative deco process; in the HEAVY, only the largest version (665 x 562 x 250 mm) is not yet IML-compatible. In addition, the plastic cases of most of W.AG’s other product lines can now be printed with in-mould labelling – right down to the latest design case model TWIST, which can also be seen at FachPack. Unlike traditional printing techniques, IML print is done directly in the injection moulding line. In the offset process, previously printed PP films are inserted in a fully automated process in the open mould and placed synchronously with each shot in the outside of the still warm case half shells. 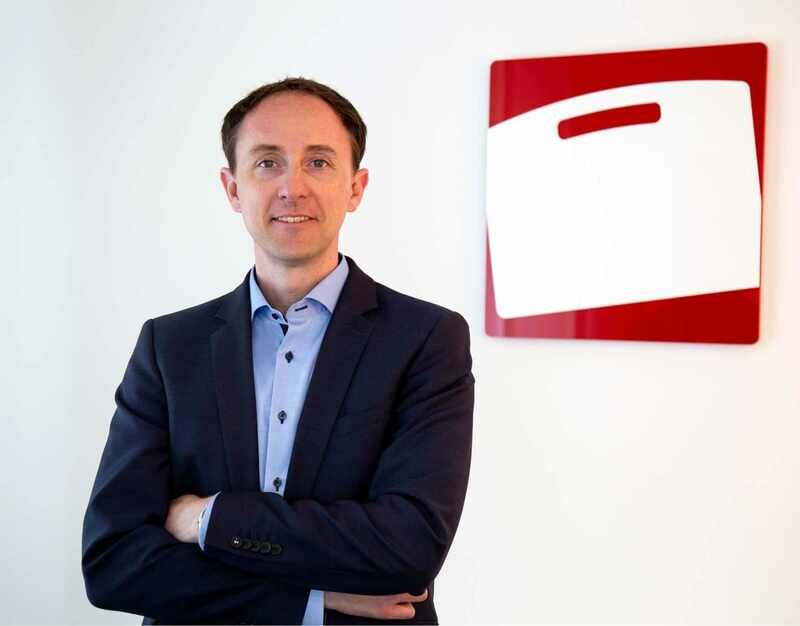 “The process is demanding, but the results are impressive,” says Managing Director Konrad Goldbach, and summarizes: “The finished four-color print is not only brilliant and scratch-resistant, but also forms a solid unit with the case after cooling. It is resistant to moisture, temperature influences, UV radiation and mechanical abrasion. In addition, there is no peeling, no yellowing and no slipping, as one is accustomed to with conventional adhesive labels. ” In short, in in-mould labelling, W.AG cases receive a lasting and colour intensive multicolour print in top quality. For the realization of high-quality product branding the IML is an ideal solution. 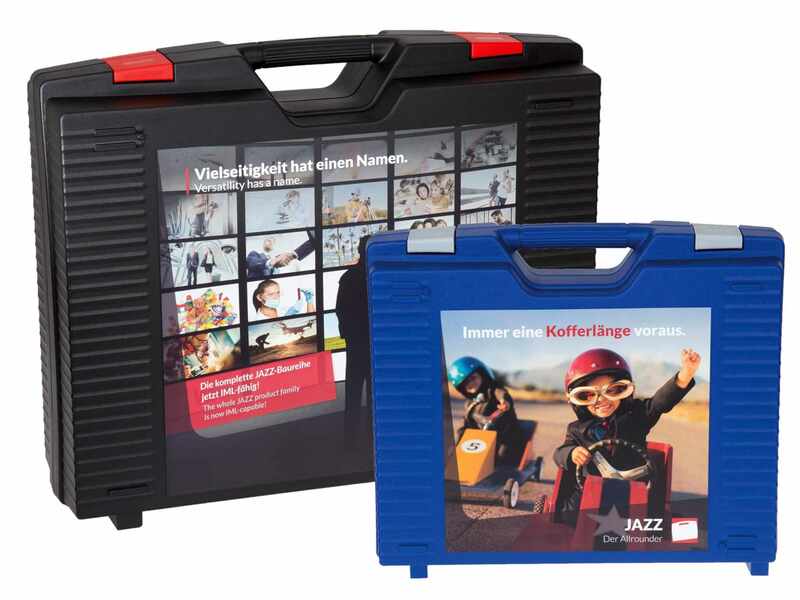 Because the brand and advertising messages can be expressed expressively in bright colours and high-contrast images, safety and application-related information, however, are inextricably linked to the plastic case. Not to be underestimated: In-Mould Labelling can also support the objective of adding value to the transported contents through the high design quality of the plastic case. Visitors to the fair can convince themselves of the excellent quality of the photorealistic IML prints in Hall 7, Stand 310. Heavy load case with IML-Print: With one exception, W.AG can illustrate and label all sizes of the HEAVY (300 x 275 x 82 mm to 665 x 562 x 250 mm) with the foil printing technology In-Mould Labelling (IML) on the front and back sides. The plastic case will be shown at this year’s FachPack in Nuremberg at the W.AG booth 310 in hall 7. The techno design of the JAZZ, which is available in 15 sizes (229 x 199 x 55 mm to 497 x 411 x 160 mm), is primarily geared towards the requirements of manufacturers of high-tech products, such as medical, laboratory and measuring technology. Join the pack at the FachPack: The new case model TWIST by W.AG. It is currently available in 15 formats (238 x 188 x 54 mm to 494 x 402 x 196 mm) and is also IML capable.